TOKYO, JAPAN, (March 27, 2015) – Two Guinness World Records titles have been awarded to Kirobo, the robot astronaut developed as part of a joint research project between Dentsu Inc., the University of Tokyo’s Research Center for Advanced Science and Technology, Robo Garage Co., Ltd., Toyota Motor Corporation, and the Japan Aerospace Exploration Agency (JAXA). Kirobo arrived at the International Space Station (ISS) on August 10, 2013 and spent a total of eighteen months there, holding the world’s first conversation experiment in outer space between a robot and a human (JAXA astronaut Koichi Wakata) and conducting research for a future in which humans and robots coexist. At the debriefing session held today at the National Museum of Emerging Science and Innovation in Tokyo, the project members gave a summary report and showed a video of the highlights of Kirobo’s activities aboard the ISS. The session was chaired by Fuminori Kataoka, project general manager in the Product Planning Group of Toyota Motor Corporation, and the two speakers were Tomotaka Takahashi, the president of ROBO GARAGE Co., Ltd. who is also a visiting research fellow at the University of Tokyo’s Research Center for Advanced Science and Technology, and Yorichika Nishijima, a copywriter in Dentsu Inc.’s Business Creation Center as well as head of the Dentsu Robot Center. 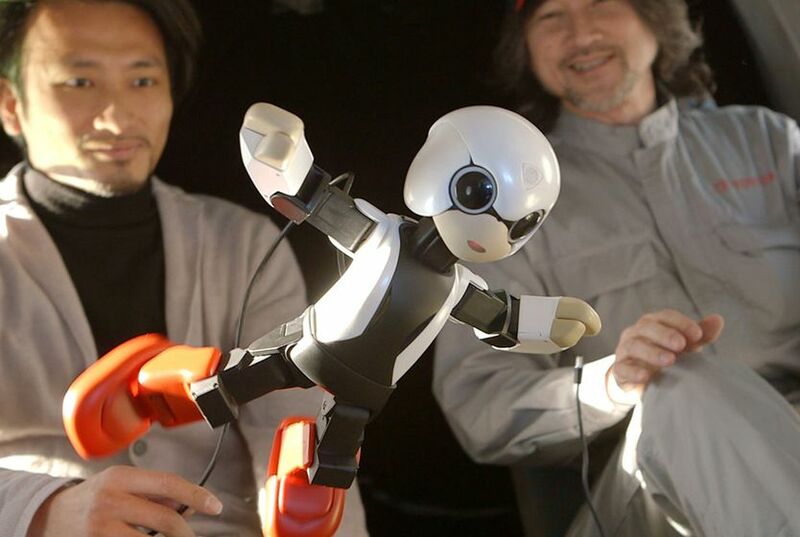 Kirobo also appeared on stage to chat with the project team members. The project is announced; the public begins proposing robot names. 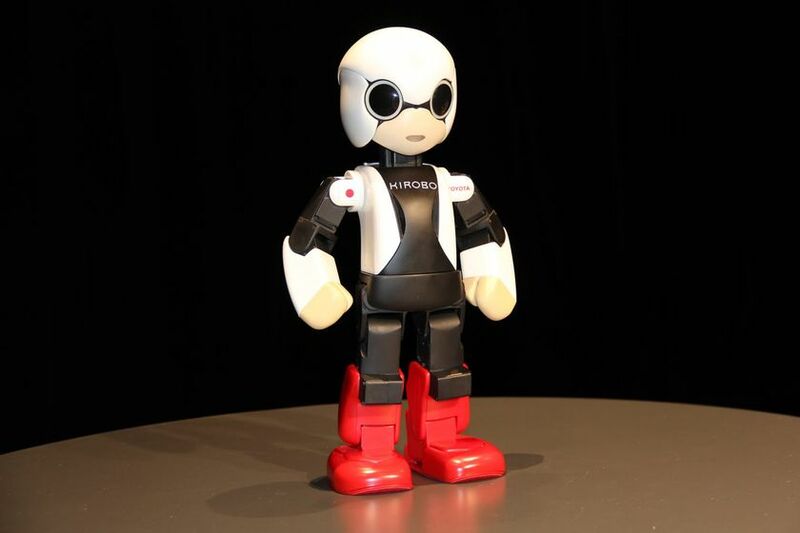 Kirobo and backup (ground) crew member Mirata are completed and introduced at a press conference. Kirobo leaves Japan for the ISS aboard the Kounotori 4 transfer vehicle from the Tanegashima Space Center. Kirobo arrives at the ISS. JAXA astronaut Koichi Wakata boards the Russian spacecraft Soyuz and arrives at the ISS the same day. 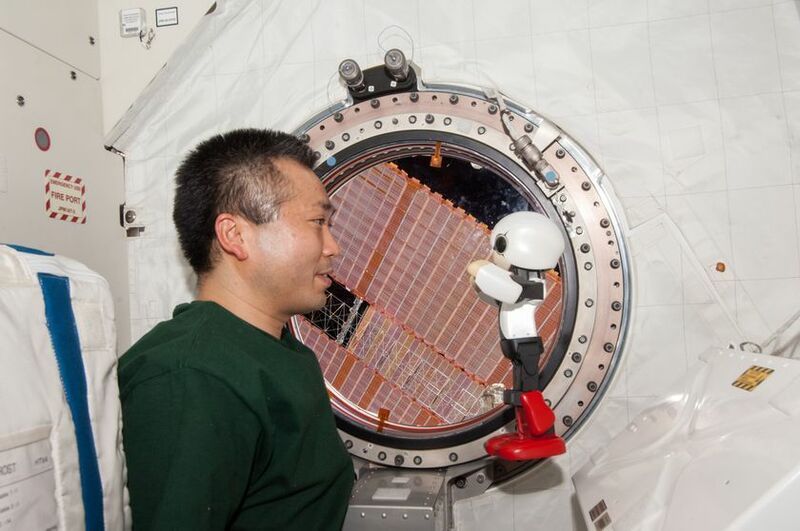 Kirobo and JAXA astronaut Koichi Wakata hold the world’s first conversation experiment between a robot and a human in outer space. JAXA astronaut Koichi Wakata returns to Earth.